PATRICK BAXTER : Owner & founder of the business, a traditionally trained cabinetmaker, established Patrick Baxter Furniture in 1991 and then Lanarkshire Hardwoods in 1999 which runs alongside the original furniture making and antique restoration businesses. ‘Dovetails’, the woodworking tuition side to the business, was founded in 2010 – course content is conceived and administered by Patrick. The LH website, Facebook & Twitter pages are currently run and updated by Patrick. 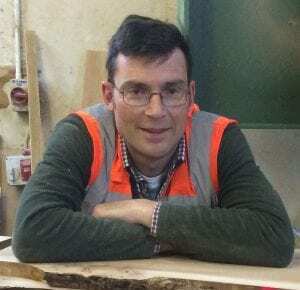 Patrick is your main point of contact for wood sales and all technical advice to do with wood or furniture making. The driving force behind the business, he juggles time between the office, workshop, sawmill and shop or being out and about viewing trees and visiting suppliers. 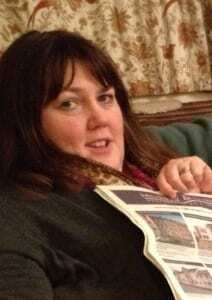 RACHAEL BAXTER : Patrick’s wife Rachael is office manager and handles general enquiries. Keeps everyone on the straight and narrow, the backbone of the business.